Forth Crossing Bridge Constructors, the consortium building the bridge, has told ministers that ongoing effects of weather on construction mean it will require more time to complete the bridge. The joint venture of Dragados, Hochtief, American Bridge International and Morrison Construction said the new opening deadline remained challenging but achievable. Since last September the downtime due to strong winds has been 40% compared to the 25% anticipated by the contractor. Until May, the bridge builders thought they could make up lost time. But in April and May an unprecedented 13 days and 12 days were lost to bad weather scuppering plans to deliver the December 2016 target. FCBC has taken on an extra 100 workers, increased working hours, altered construction methodologies where possible and challenged critical construction sequences to identify where any programme efficiencies could be found. But the contractors are now warning they have now reached the stage where further extra resources will not bring the delivery date forward due to the complex technical nature of the construction work. 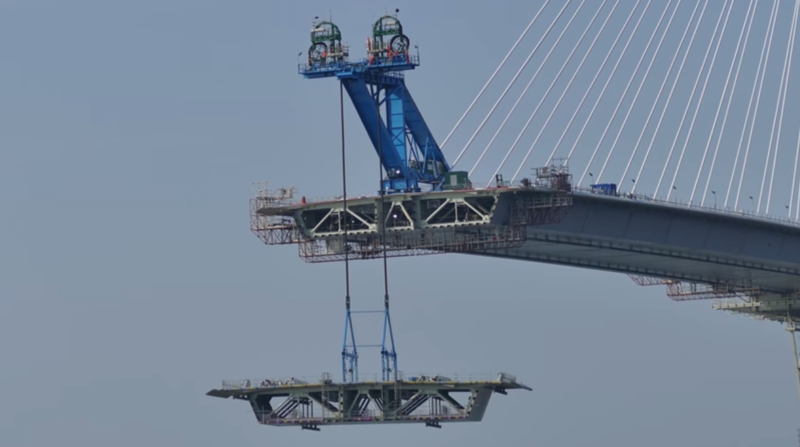 Specifically the bridge deck and the cable installation process, which began in September 2015, is particularly sensitive to wind and this increases as the cables used become longer and are installed at a greater height . FCBC have confirmed this creates an unavoidable knock-on effect for subsequent activities, road surfacing and wind barriers which will now take place in wet and cold conditions during autumn and winter 2016/2017. The builders contract runs until June 2017, meaning the project will still technically be on time even though completion was brought forward to December this year. “Going forward, in order to ensure that this project remains on track, I have implemented enhanced governance procedures from Transport Scotland senior management and will receive twice weekly updates from the project team. “The December 2016 target date was set to address concerns about the long term condition of the Forth Road bridge where it was originally believed that it would be restricted as early as 2017.